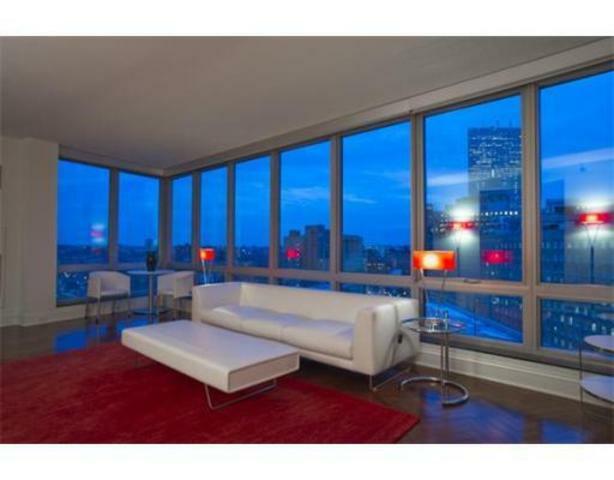 Developed by the Millennium Partners and designed by Handel Architects in 2001, Boston’s Ritz-Carlton condos are highly desirable residences in the city. Innovative and forward-thinking design won the architectural company the 2003 Award for Excellence and the 2003 Project of the Year. They were the first luxury development to introduce the mixed concept of hotel and residences to Boston. In addition to a 5 star hotel, the Ritz Carlton offers 35 floors of 1 to 4 bedroom condos that are completed with Brazilian Cherry hardwood floors, granite kitchens, marble bathrooms, and floor-to-ceiling windows that provide city or Boston Harbor views. Residents enjoy full service options offered to hotel guests, such as room service, cleaning, and valet parking. Building amenities include a 100,000 square foot sports and spa facility (run by Equinox), a theatre multiples, and retail stores and restaurants. Centrally located downtown, across from the Boston Common, it is easy for Ritz-Carlton condo residents to explore the city and access services and shops outside of the building. The Financial District, Beacon Hill, Back Bay, and South End, for example, are all within walking distance. To explore other neighborhoods of Boston, the Chinatown and Boylston T stops are easily accessible.